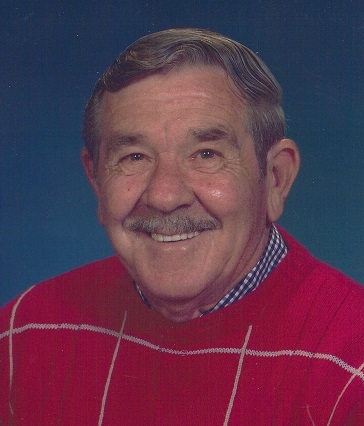 Roger Gilmore Wiles, 77, of Myersville, MD, passed away Wednesday, December 5, 2018 at Frederick Memorial Hospital. Born Thursday, September 18, 1941 in Frederick, MD, he was the son of the late Roger Vernon Wiles and Dora Viola (Ramsburg) Wiles. He attended Middletown High School. He was a member of Harmony Church of The Brethren, Myersville, MD. Roger was employed by Morgan-Keller Construction of Smithsburg, MD. He was an avid hunter. He loved fishing and being outdoors. Roger is survived by his wife of 58 years, Mary Ann (Hays) Wiles, whom he married March 11, 1960, daughter, Tammy Harrington and husband Don, son, Paul Wiles and wife Sonya, grandchildren, Brittany Monacelli and husband Nick, Sean Wiles and wife Becky and Hunter Wiles, great-grandchildren, Owen, Jack, Emmalyn and Mia, brothers, Clyde and Ralph, sister, Dora Jane and many nieces, nephews and extended family. He was preceded in death by son, Roy Vernon Wiles, brother, Paul and sisters, Betty, Mary, Clantha and Grace. There will be no viewing. Services will be held Saturday, December 8, 2018 at 11:00am at J.L. Davis Funeral Home, Smithsburg, MD, with Pastor Karen Grossnickle officiating. Burial will be in Garfield United Methodist Church Cemetery. The family will receive friends from 10am-11am, one hour prior to the service. In lieu of flowers, memorial donations may be made to Hospice of Frederick County, 516 Trail Ave. Frederick, MD, 21702 or www.hospiceoffrederick.org. Online condolences may be offered at, www.jldavisfh.com.